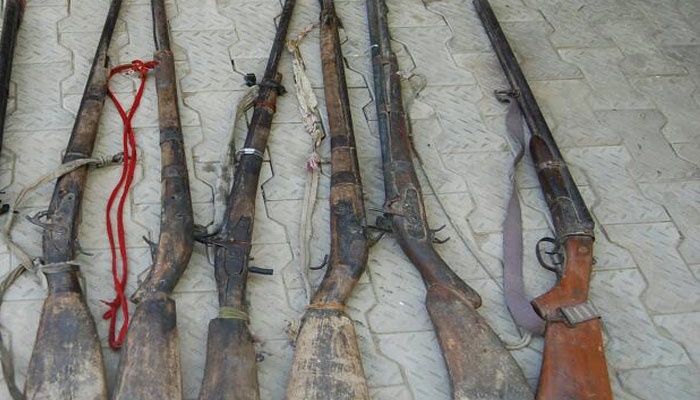 Police in Katsina State have recovered 198 illegal firearms from some residents and herdsmen. Is Katsina state preparing for war? Or how do you explain the recovery of 198 firearms from some residents, including herdsmen? About 30 of the weapons were reportedly mopped up from individuals following a directive by the Inspector-General of Police, Ibrahim Idris, that owners of such weapons should surrender them. Among the recovered weapons were 20 AK-47 rifles, 10 pistols, eight pump-action rifles, 70 locally-made pistols, 80 locally-made guns, five double-barrelled guns and two SMGs. Others included 84 rounds of ammunition and 50 magazines. The state Commissioner of Police, Wakili Muhammed, who displayed the weapons before journalists at the police command headquarters in Katsina, said the command would ensure the recovery of all illegally acquired arms. “We are also calling on those who have not returned their legally acquired firearms to do so before the expiration of the IG’s deadline,” he added.